This past weekend was the annual tulip festival at Mountain View Cemetery. I've seen the outdoor displays before, but this was the first time I'd seen the exhibition indoors. 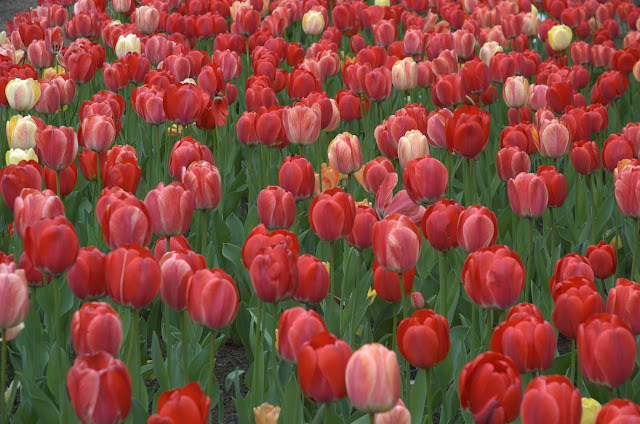 The outdoor displays are impressive, and reason enough to visit Mountain View during the tulip festival. But the indoor exhibition was stunning. Not all the arrangements were to my taste, but they were all pretty amazing. And of course, Mountain View has plenty of other flowers during different parts of the year.